Efforts to transform the South African economy into a green economy have been underway for almost a decade. However, this vision remains unrealised. 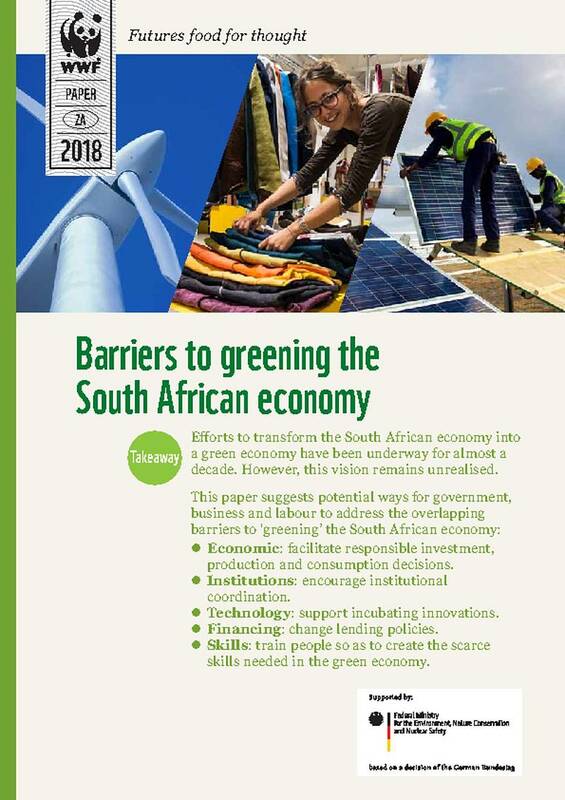 This paper suggests potential ways for government, business and labour to address the overlapping barriers to ‘greening’ the South African economy. Economic: facilitate responsible investment, production and consumption decisions. Skills: train people so as to create the scarce skills needed in the green economy.